Everybody in Sydney needs a rubbish removal service, whether this is your standard weekly household rubbish removal or a job that requires a helping hand. And when it comes to the latter, there is nobody in Sydney that is faster, more cost-effective or more efficient than Sydney Rubbish Services. We are a family run business, with a focus on comprehensive solutions for all your rubbish-related needs. Our friendly team has a reputation built on excellent service, so whether you are renovating, moving house, spring cleaning or just need some help getting rid of old waste, let us handle the mess! Here is our ultimate guide to rubbish removal in Sydney. Sydney Rubbish Services are your go-to waste removal guys for fast, cost effective rubbish solutions. Here is our comprehensive guide to rubbish removal in Sydney. Household rubbish is a blanket term for any solid waste that comes from your household. This covers anything anything from food scraps to nappies, to containers or boxes, old furniture or unwanted household items, clothes, and even green waste from your garden and e-waste. 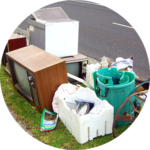 Many of the items kept in households are bulky and difficult to get rid of through standard council rubbish removal services, and if they aren’t removed efficiently, can become a environmental or health concern, both for your home and community. Household rubbish also includes recyclables, which need to be disposed of sustainably in order to help preserve our precious natural environment. You can read more about household rubbish removal here. Moving house can be extremely stressful, no matter what the circumstances. Although it can be very exciting getting a new place, it is a long and winding road until you can comfortably settle in. • When selling, making sure your house is absolutely spotless is usually the first step. Start in the front and back yards, plus any exterior spaces like garages and sheds. These spaces will generally make the first impression so making sure they are de-cluttered is very important. Giving your gardens a good grooming is very important to show the potential of a space. This will create a decent amount of green waste. One of the many types of rubbish you’ll have to remove in the cleaning process. • ‘Showing’ your home will mean it has to be absolutely spotless. Not just clean of general rubbish and clutter, but stripped back – almost like a movie set. This might mean starting to get rid of items that you have been reluctant to throw out over the years, but now know you no longer need – old books and magazines, furniture, electrical waste, paint tins – the list goes on. • You may choose to remove your carpets in order to show of nicer floor boards underneath, or replace them all together. The same goes for curtains, rugs and couches. When moving, refined and neutral is better. 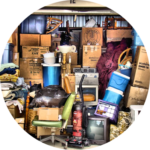 The actual moving process will inevitably uncover masses of waste that you have stored over the years and no longer need. This process is often then most stressful – especially if you don’t have any access to a van or ute. Moving houses is generally a time where people also choose to upgrade their homes and what is in them. Fridges, furniture that will not suit a new space and mattresses are common items that will need to be disposed of when moving house. Commercial spaces, while they might not generally hold as wide a variety of stuff as a residential space, can often have a lot more waste. • E-waste: This is a massive factor to take into consideration when moving business premises. Properly disposing of E-waste is crucial in making sure your move is as eco-friendly as possible. Computers, printers, telephones, TVs, car batteries and fax machines all contain harmful chemicals that need to be disposed of properly, not just dumped anywhere. • Furniture: Disposing of old desks, chairs, lamps and shelving units poses a huge problem when moving business premises. These items are bulky and extremely hard to remove without proper transportation. We have a large fleet of brand new trucks and all the man-power to take care of removing furniture for a business of any size. • Recycling: Businesses are bound to have a large stockpile of old, unwanted recyclable material – files, packaging, boxes etc. We have access to most of Sydney’s best recycling plants, which are by far the most responsible option for removing old waste. No matter how much you’ve had built up over the years, we have the means to get rid of it all for you, quickly and efficiently. 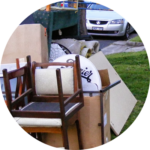 Read more about rubbish removal and moving houses or businesses here. The handover for a deceased estate is usually a very short and hurried process, and the shock of losing a close family member or friend may make the whole experience extremely difficult. These houses are often not properly maintained, often contain a lot of disposable or invaluable material, and may require a swift and thorough clean out or minor demolition before they are ready to be dealt with. The task of deceased estate rubbish removal may seem like all too much for you at such a difficult time, but we also understand that it is a delicate job that should be undertaken with care. Sydney Rubbish Services are hands-on meaning we can take into account any instructions you give us and remove as much or as little as you need, allowing you the time to focus on the more important things. Read more about deceased estate rubbish removal here. Depending on your household and its garden, the green waste that you may need to dispose of will vary. Areas in the North Shore or Eastern Suburbs may need to dispose of higher volumes of grass and leaf waste, where as households closer to the city – the Inner West or inner city – generally have bulkier waste items like trees and branches to dispose of. No matter what you need to get rid of, we can handle it. Common types of yard waste include smaller items such as grass clippings, leaves, weeds, plants and small twigs and branches. Bulkier items may include tree stumps, large branches, smaller trees and tree limbs. Read more about garden waste removal here. As well as household rubbish removal, we specialise in office waste disposal. 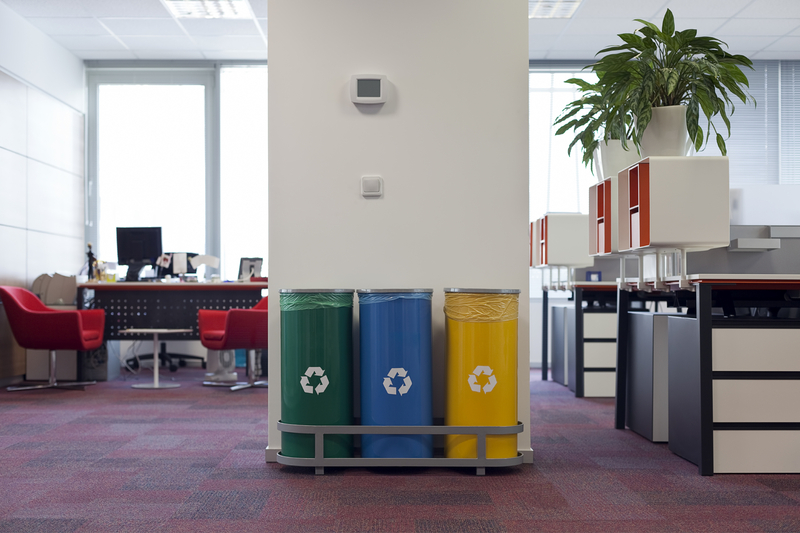 Having an effective office waste management system in place can both save your business money and increase your recycling rates, reducing your overall impact on the environment. It’s integral for a businesses to have a dedicated waste removal service in order to effectively address rubbish issues within an office and get on with your daily activity. Common office rubbish types can be split into four main categories: recyclables, paper and cardboard, food organics and rubbish. 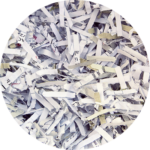 Read more about office waste removal here. Fridges and freezers are amongst the most difficult household items that you will need to discard in your lifetime. They are also one of the more common things you will find discarded on nature strips or littering streets around Sydney. They are extremely heavy, and without a vehicle in which you can transport them safely, can be near impossible to get rid of. Getting in touch with a rubbish removal service for help is always your best option! Read more about fridge removal here. Mattresses are one of the most common household items that you’ll find littering alleyways or nature strips around Sydney. It is a common conception that mattresses gain weight over time, some say even at a rate of 10% per year. This means that after ten years, your mattress will weight almost double its original weight, due to a build up of oils, moisture, and other mildly disgusting things. Removing a mattress of any size from your room, house or apartment can be awkward and time-consuming. Getting it to a rubbish dump is a whole other story. 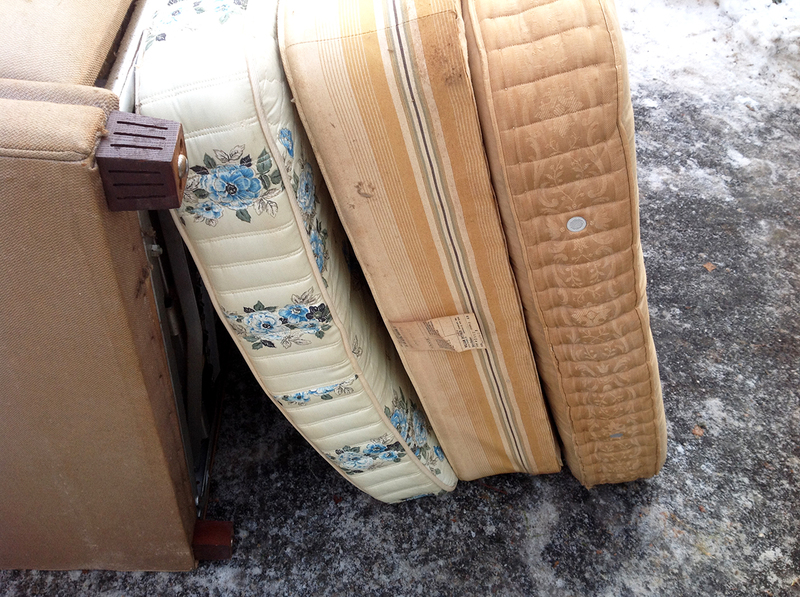 Read more about mattress removal here. 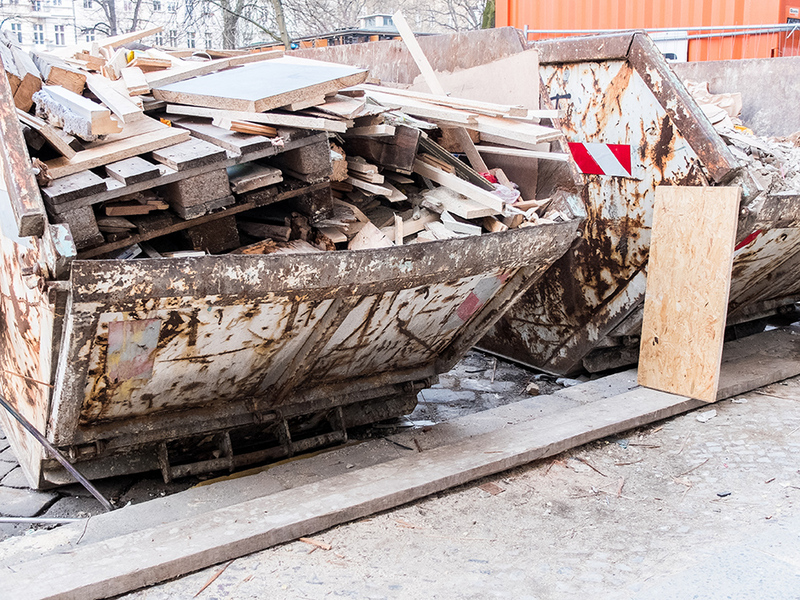 Building site waste removal is primary concern in both commercial and residential sectors where spaces is limited and organisation is paramount. The rubbish created in building is bulky and hazardous and needs to be dealt with appropriately. Skip bins are rarely your best options too! Construction site and building waste makes up a pretty staggering proportion of rubbish that ends up in landfill. As we well know, landfill space is rapidly running out in many areas, which means we may see a shift in the requirements for rubbish removal on building sites across Sydney in the near future. Read more about building site rubbish removal here. The main hurdle many people come across in recycling these materials is lack of access to the necessary vehicles – such as a truck or a ute – as they usually are very bulky. Labour is another big factor. People often simply don’t have the time or resources to get rid of large quantities of heavy waste. That’s why it’s best to get in touch with a rubbish removal service! Read more about getting rid of waste like brick, soil and sand here. White goods are amongst the hardest household rubbish items to get rid of. They are also one of the most common that we deal with everyday. White goods removal requires a few sets of hands and a good sturdy truck, which is why a pickup service is your best option. Read more about white good removal here. Moving house or business are the only times you’ll will need somebody to collect your old junk. Sydneysiders are updating their homes constantly – new fridges, couches, beds – and despite the excitement of buying something new, there is always that lingering issue of what to do with the old furniture. Council pickup services are infrequent, often cost money, and have strict guidelines on what you can and cannot throw out. There are also heavy fines for dumping rubbish on nature strips or in alleyways. Charity collection services are also very strict on what they will and will not pickup. They generally only pick up furniture that is in very good condition – chances are your old furniture is not. So what is left to do? Even if you have a ute or truck, loading a heavy couch or fridge is a job in itself, let alone having to take it to one of those far away rubbish tips. You know what to do – give Sydney Rubbish Services a call. 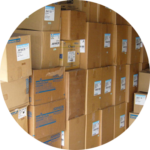 We’ll pick up anything, take it away quickly and efficiently and do so for a great price. Read more about old furniture removal here. Efficient concrete removal is a common requirement for any building site where space is limited and organisation is very important. Construction and building site waste makes up a huge proportion of rubbish that ends up in landfill. Much of this is concrete. As we well know, landfill space is rapidly running out in many areas which means we may see a shift in the requirements for rubbish removal on building sites across Sydney in the near future. This may very well affect the concrete removal cost is due time. Read more about concrete removal here. 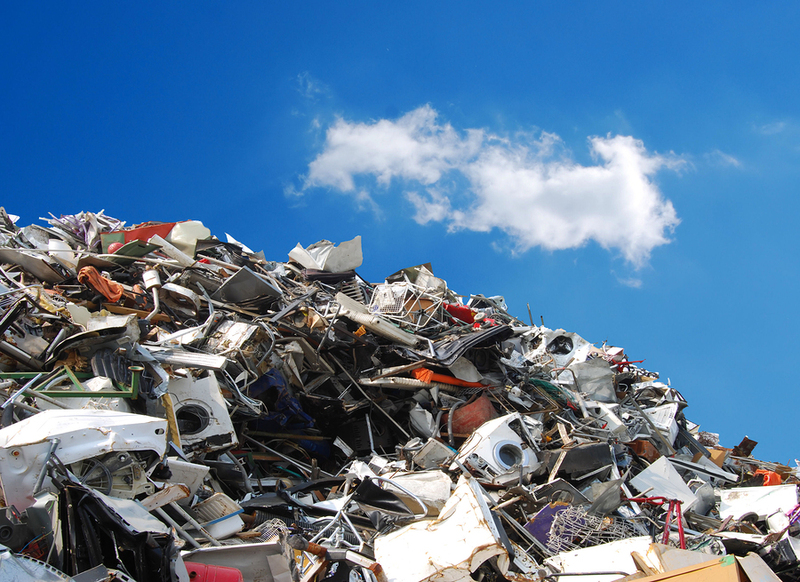 Scrap metal can be summed up as any recyclable materials leftover from either manufacturing or consumption, as well as general household junk, old whitegoods and electronics. Disposing of scrap metals responsibly is very important. Most metal types are entirely recyclable and making sure you do your part can make all the different when it comes to helping preserve our natural environment. As an example, recycling steel saves a huge amount of resources over using raw iron ore, reducing air pollution, water wastage, energy and water pollution. Each tonne of scrap steel used over new steel saves over 1,000 kg of iron ore, 625 kg of coal and 50 kg limestone. Read more about scrap metal removal here. Commercial spaces are one of the biggest producers of rubbish in Sydney. Unsurprisingly then, most commercial establishments will usually have a commercial waste removal service that they work closely with in order to keep their space clean, tidy and uncluttered. Working with a professional rubbish collection service will mean that all waste is taken care of in a fast, efficient and environmentally-friendly manner, which is extremely important for businesses in Sydney. Read more about commercial rubbish removal here. It’s commonly agreed that getting rid of old paint tins is a massive hassle. This is perhaps why in most garages you will find a stack of rusty old tins sitting in the corner taking up space. Paint is a highly toxic substance and should be disposed of responsibly. It contains poisonous chemicals such as solvents and metals that pose a threat to humans and the environment if not taken care of properly. Pouring paint down the drain is extremely irresponsible and can have catastrophic environmental repercussions (that’s why it’s illegal!). Not only can paint poison our water if poured down the drain, it can also poison the earth if dropped off at landfill. Paint will eventually seep into the earth (and any surrounding water tables) and contaminate it. For these reasons and more, dumping paint in your weekly rubbish collection is not allowed. Paint can only be disposed of by these services if it has completely dried out. If there is only a very small amount left in your tin you can pour this into an absorbent material like newspaper or kitty litter, then dispose of the tin. Read more about paint tin disposal here. The garage is the graveyard for a number of things. Car batteries are another of these main offenders. Sooner or later your car’s battery is going to die, and chances are you have no way of getting rid of it. Dumping of car batteries, either in landfill or your weekly rubbish rubbish removal service, is illegal, and for good reason. Batteries contain a whole bunch of nasty chemical, including mercury, alkaline, cadmium, nickel and lead acid. All of these are terribly harmful to the environment if they make their way into soil or water supplies. Dumping in landfill is not allowed because, despite their plastic and metal casing, batteries will eventually leak these chemicals, which can be catastrophic for the local environment. Read more about car battery disposal here. 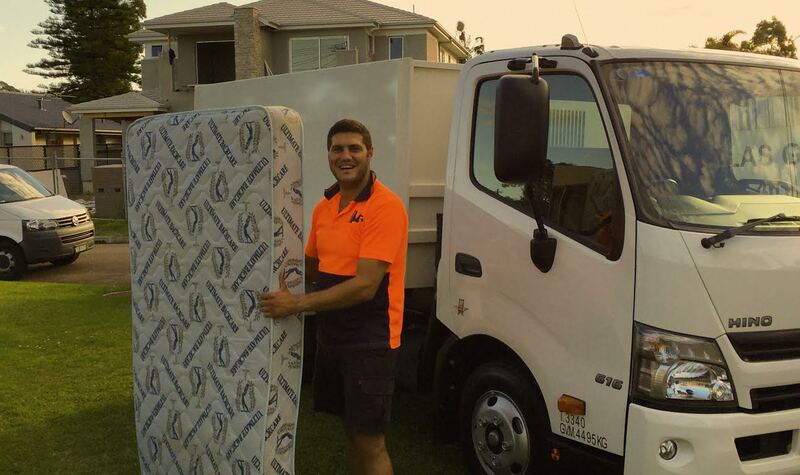 If you are in need of a top quality rubbish removal service, Sydney Rubbish Services are your guys. With over 10 years’ experience in the field, we are fast, reliable, cost-effective. Click the link below to get a quote! Or give us a call, we’d be more than happy to help.